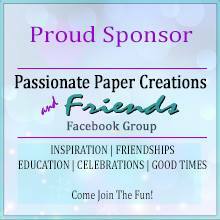 Quick Creations Challenge Blog: January Challenge Inspiration: Snowflakes! Hello everyone! As you hopefully already know, this month's challenge theme is Snowflakes (or Snow ball, even snow in general), so I'm here with some challenge inspiration for you. I used Whimsy Stamps/Wee Stamps "Sarah" Rubber Stamp, The Greeting Farm "Sparkling Season" Clear Stamp Set, and Paper from the Lawn Fawn "Snow Day" Petite Paper Pack for my project. 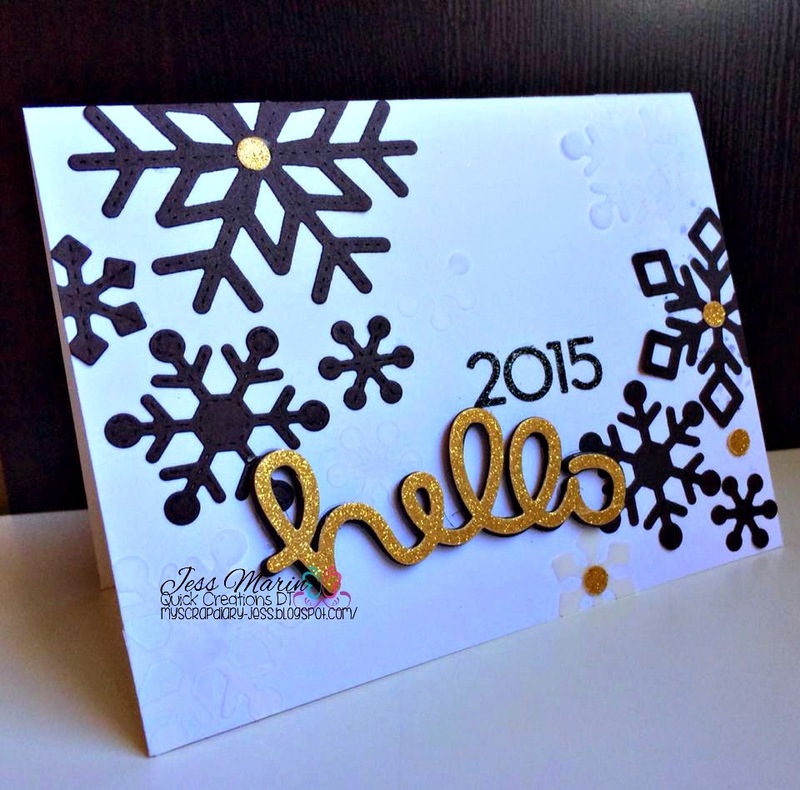 Jess used the Lawn Fawn "Stitched Snowflakes" Die Set and the Lawn Fawn "Hello" Die for her project. Cindy used the Lawn Fawn "Stitched Hillside Borders" Die for her project as well as The Greeting Farm's Retired "Beanie Anya" Rubber Stamp (no longer available). 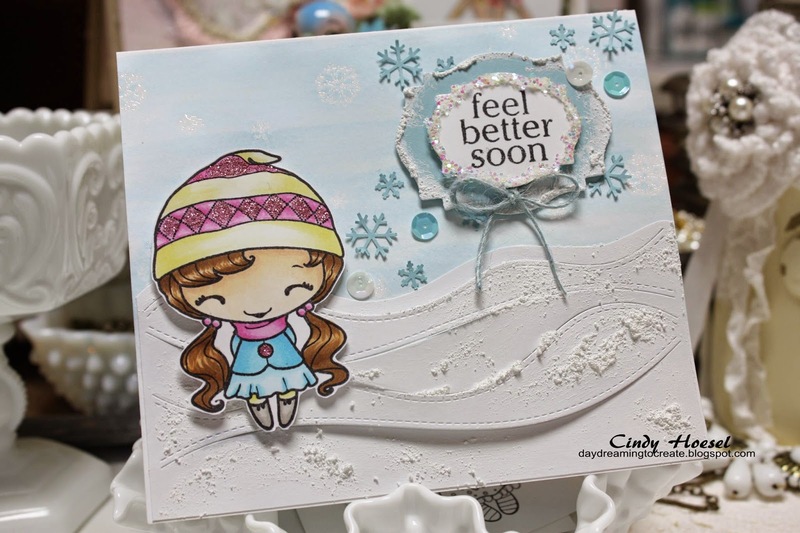 Michelle has used The Greeting Farm's RETIRED "Miss Anya Scarves" Stamp Set as well as the Doodlebug Design Doilies in Lily White and Doodlebug Design "Frosty Friends" 6" x 6" Paper Pad. For the layers on her card, Michelle used both Lawn Fawn "Large Stitched Rectangle Stackables" Custom Craft Dies and Lawn Fawn "Small Stitched Rectangle Stackables" Custom Craft Dies.